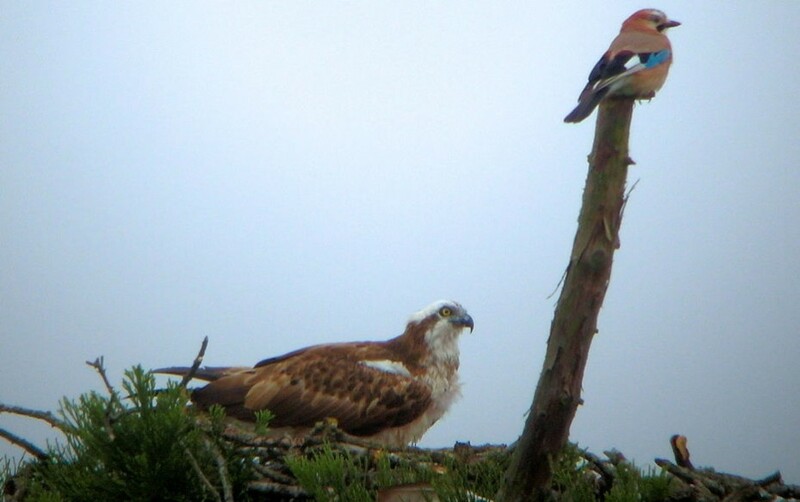 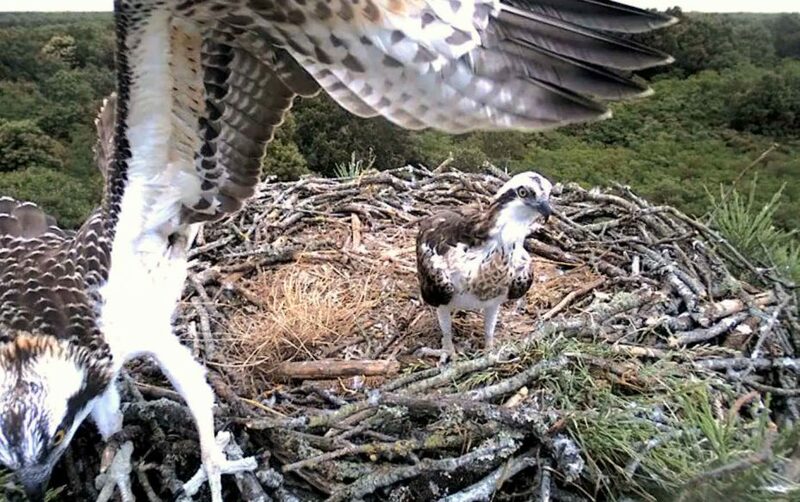 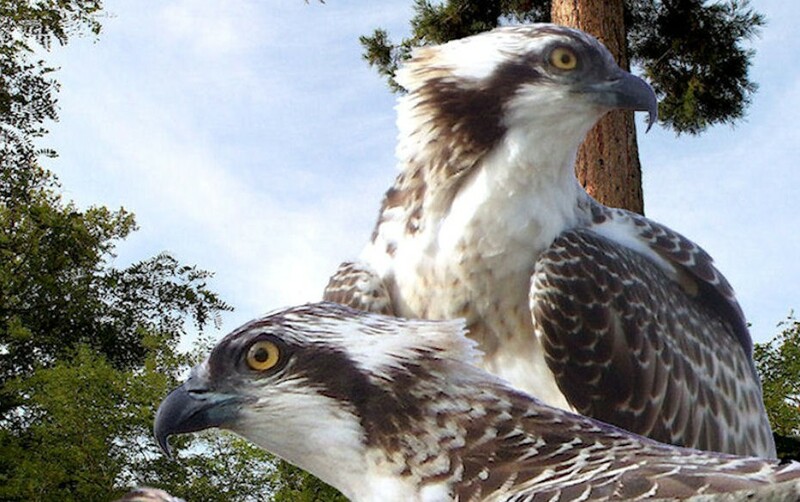 Live by broadband webcam: A pair of Ospreys on their home patch. 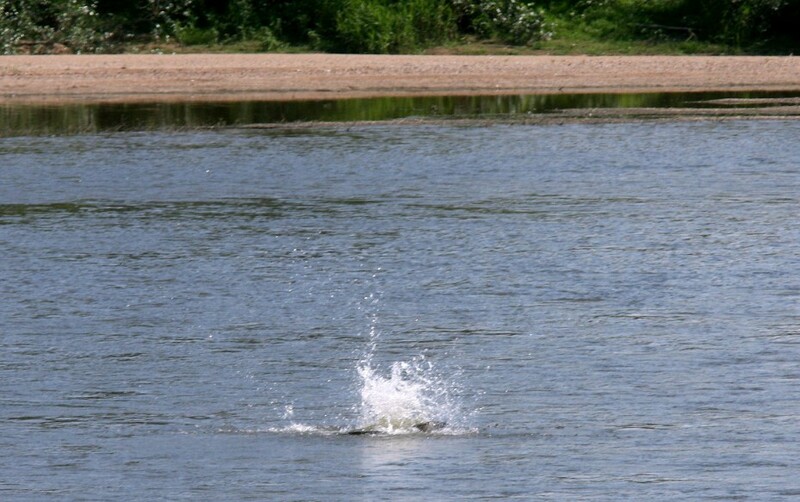 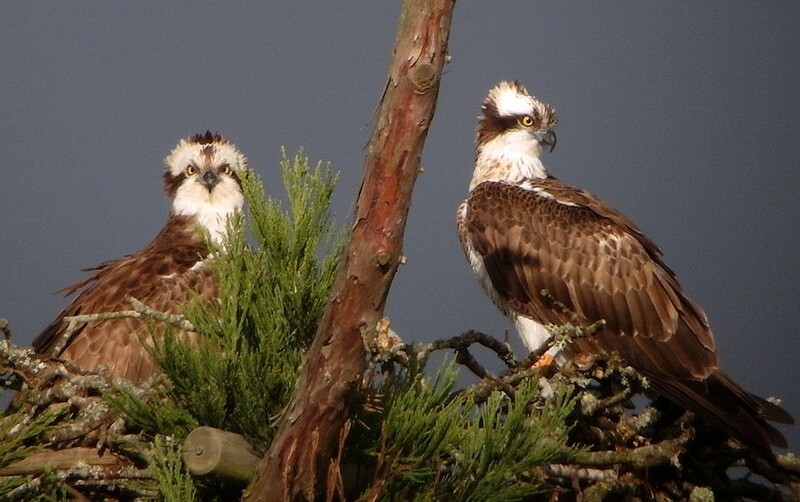 Follow the season’s adventures on one of France’s last untamed rivers, the magnificent Loire. 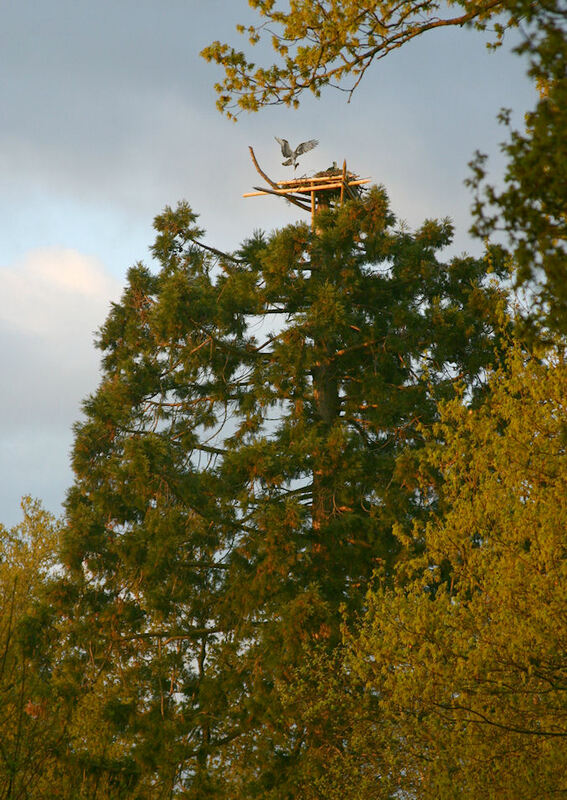 This totally artificial nesting platform has been fought over and occupied since it was completed. 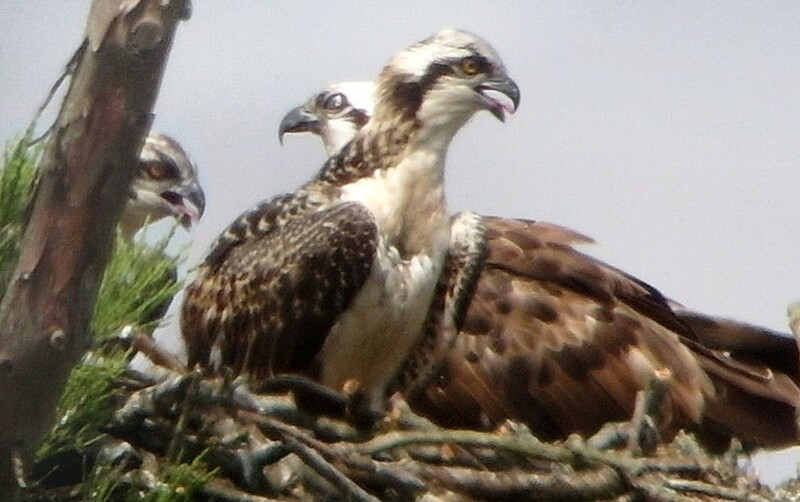 The first successful breeding took place in 2010. 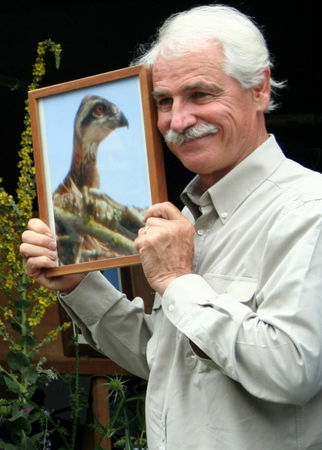 Yann Arthus Bertrand, the famous French photographer and film maker, came to Mardié to be Godfather to the first two chicks. 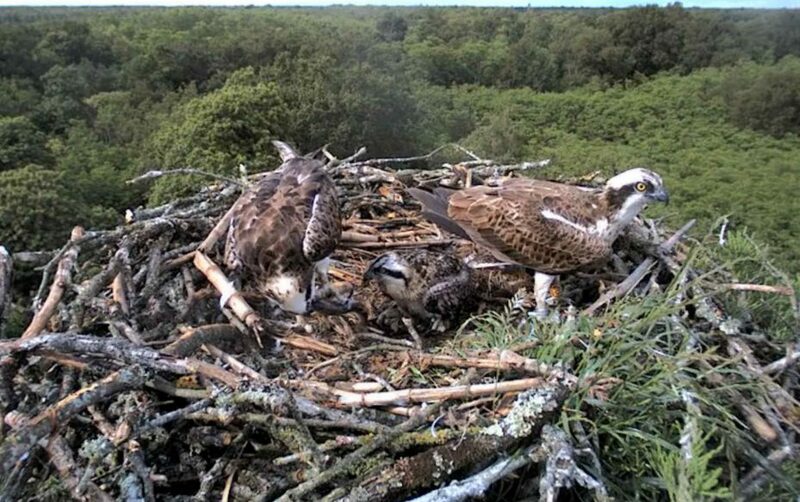 Unfortunately, the couple didn’t nest in 2011 and a couple of Tawny Owls took over and bred at the site from January 2012 which probably discouraged the Ospreys that otherwise might have returned. 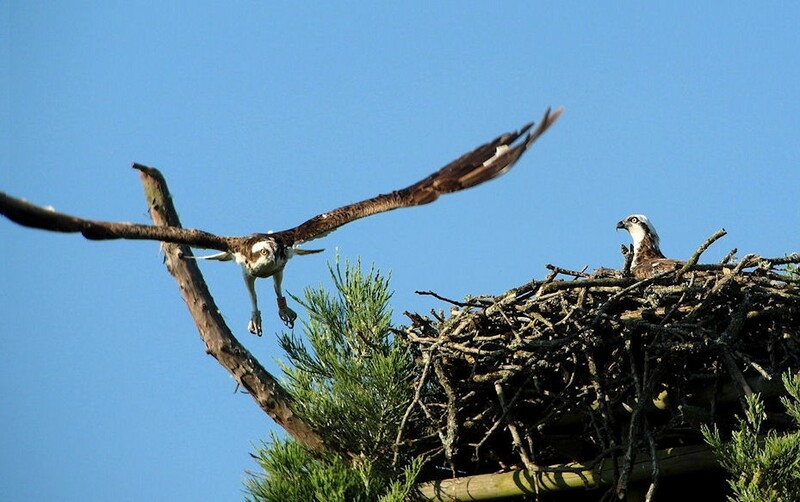 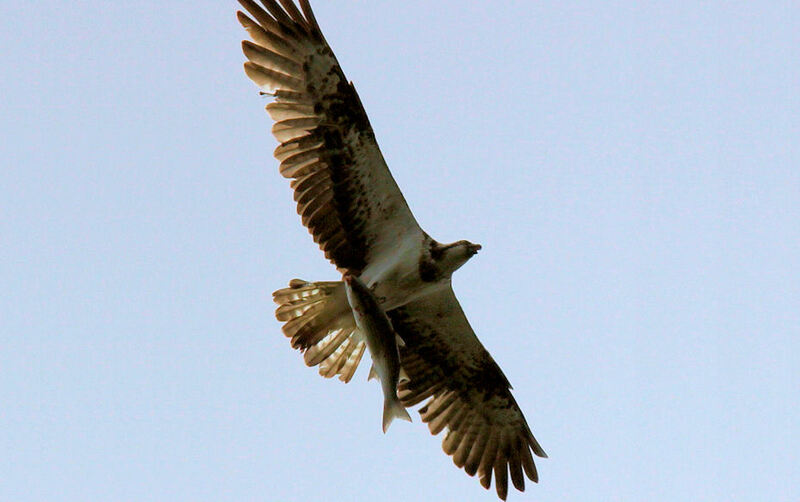 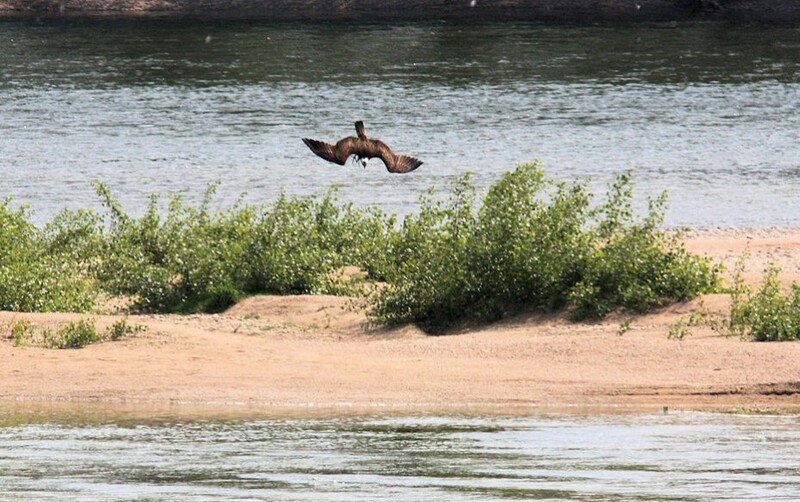 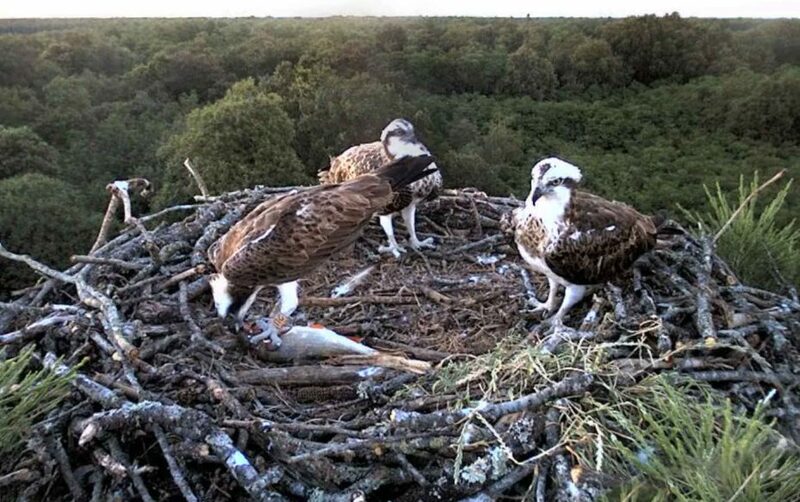 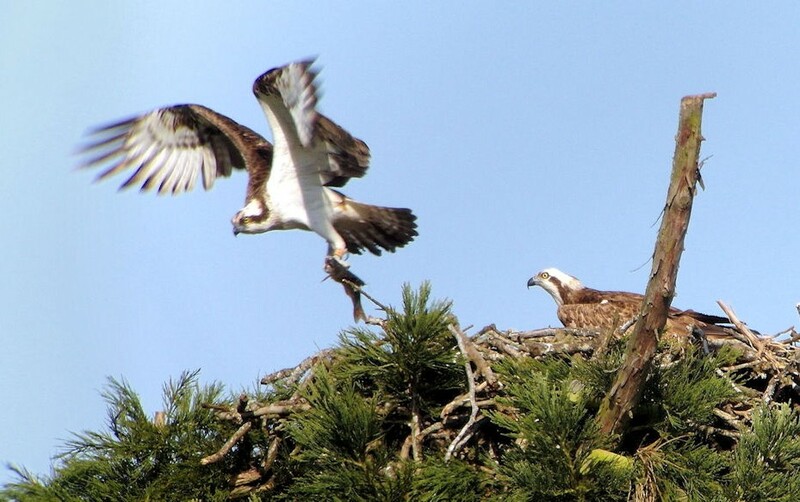 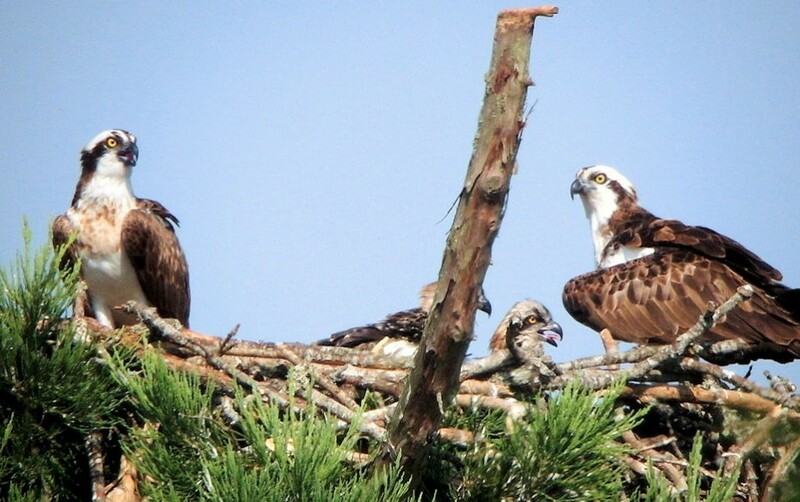 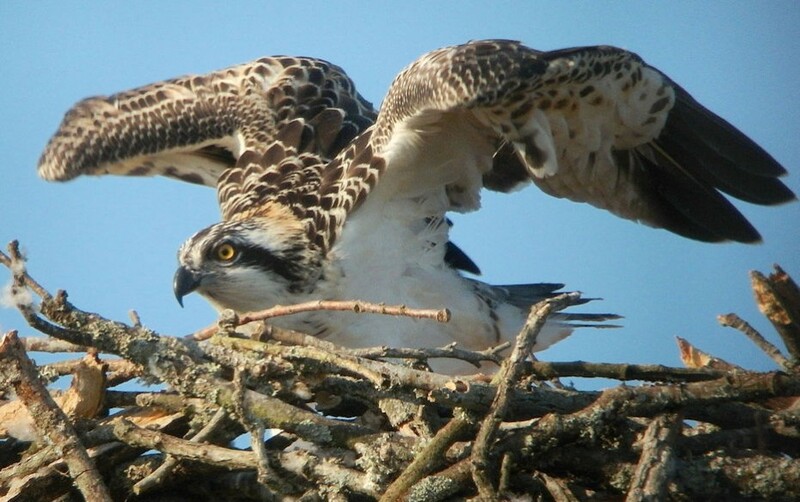 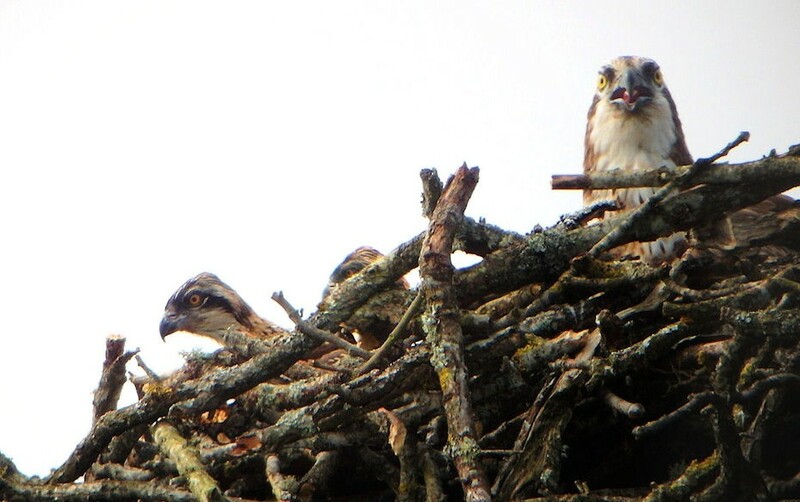 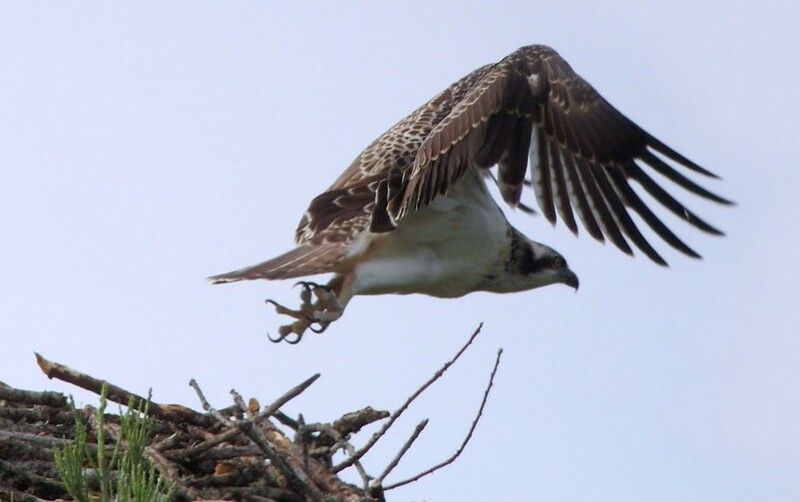 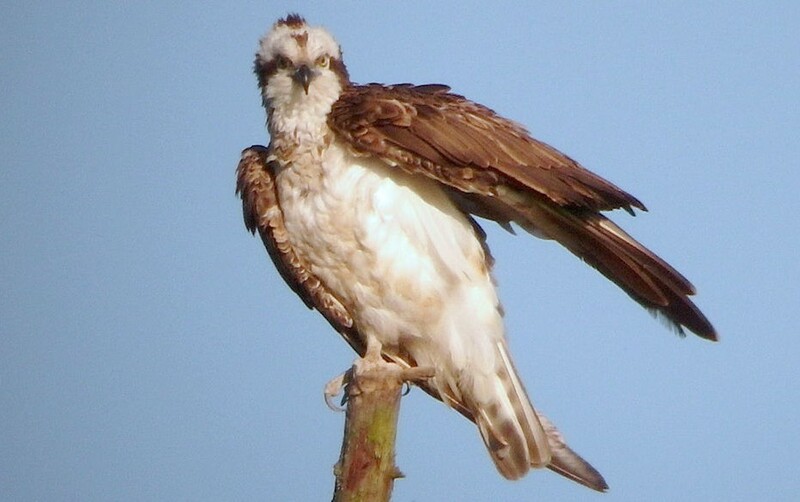 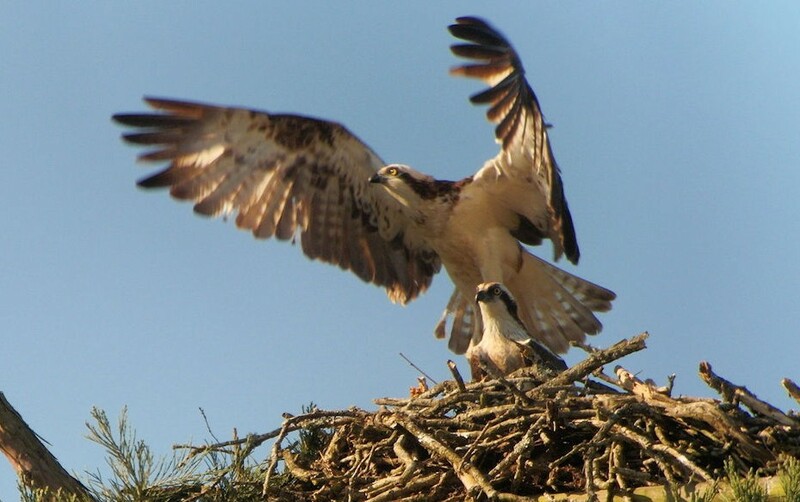 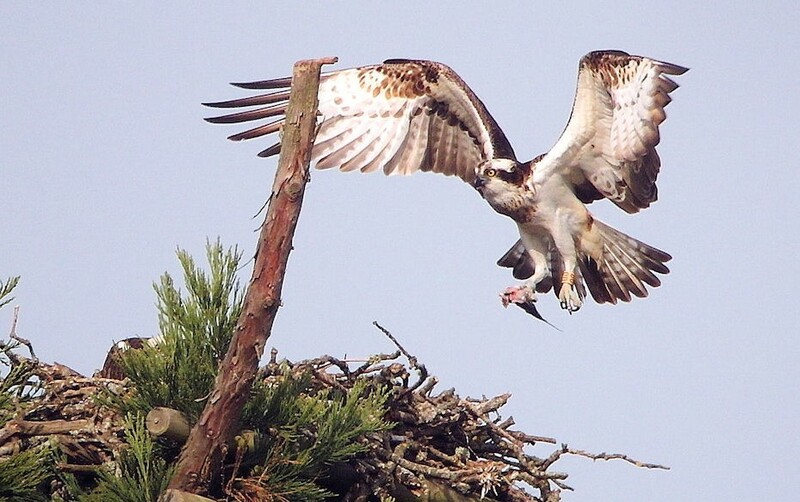 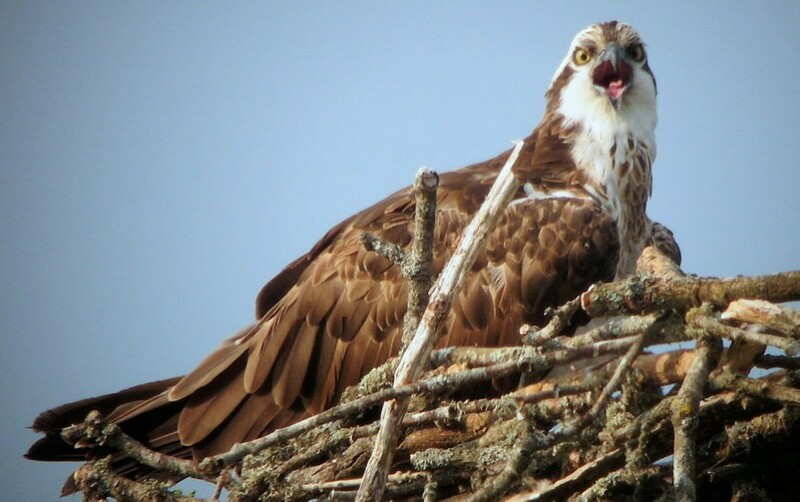 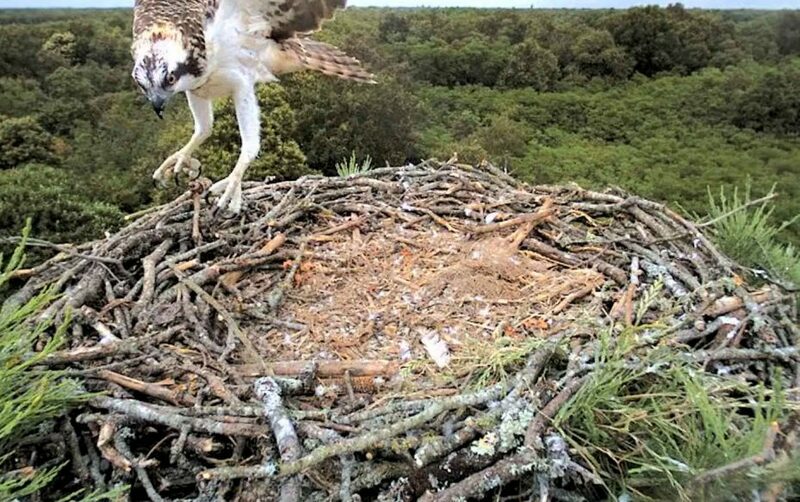 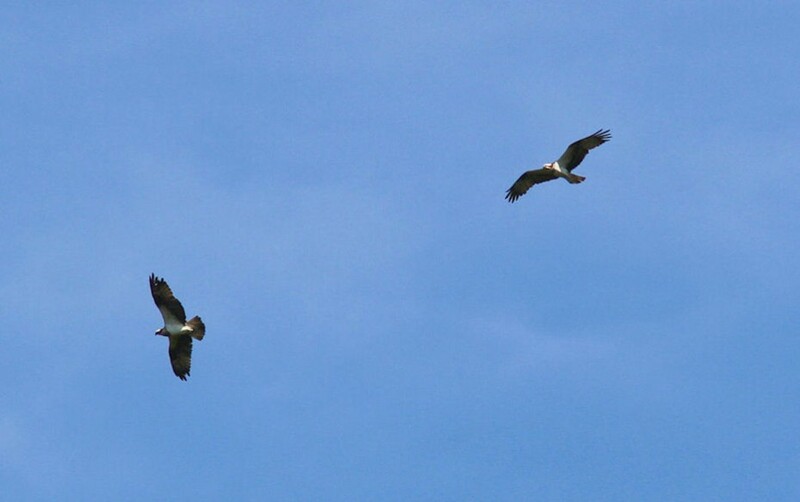 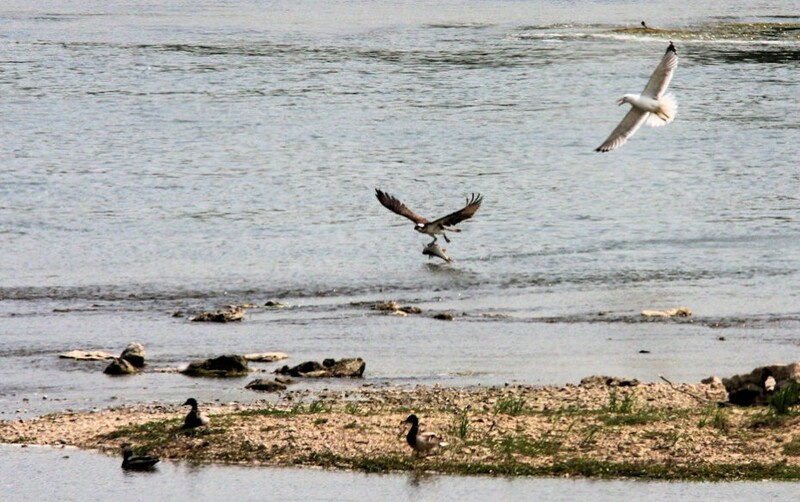 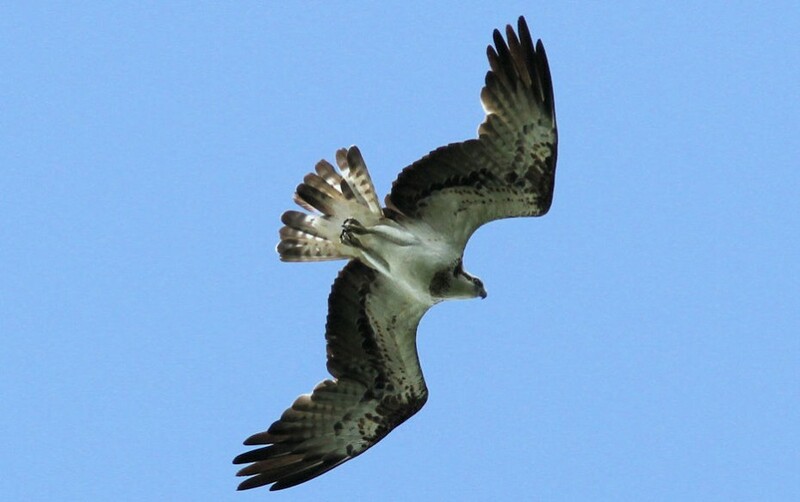 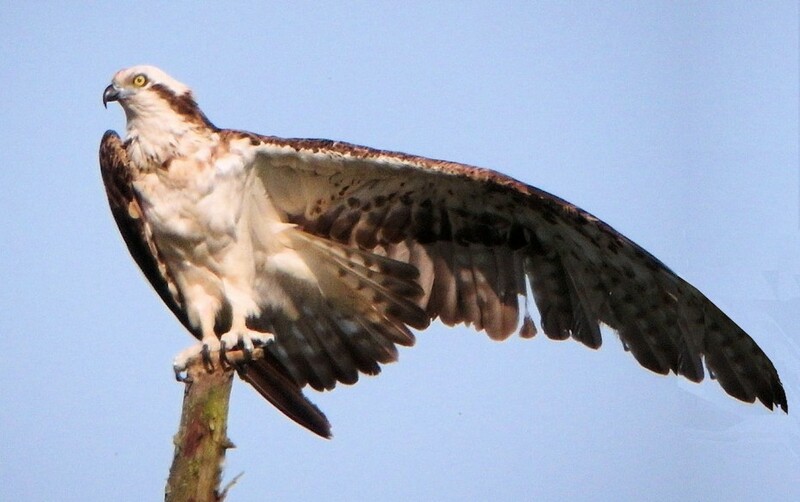 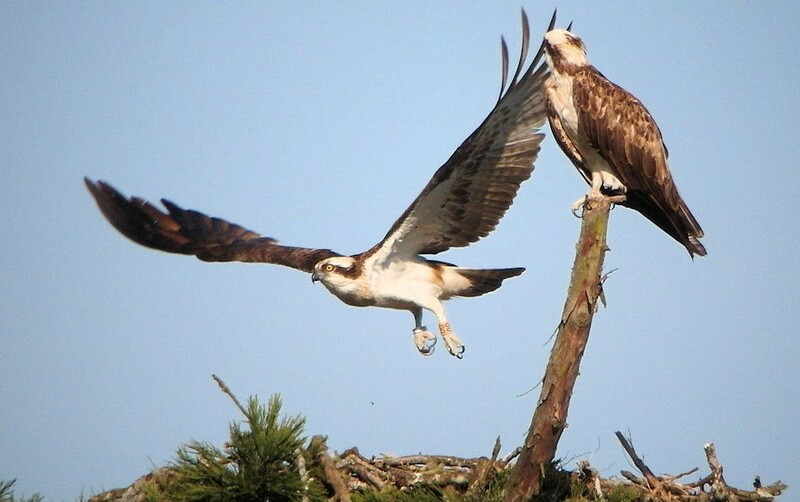 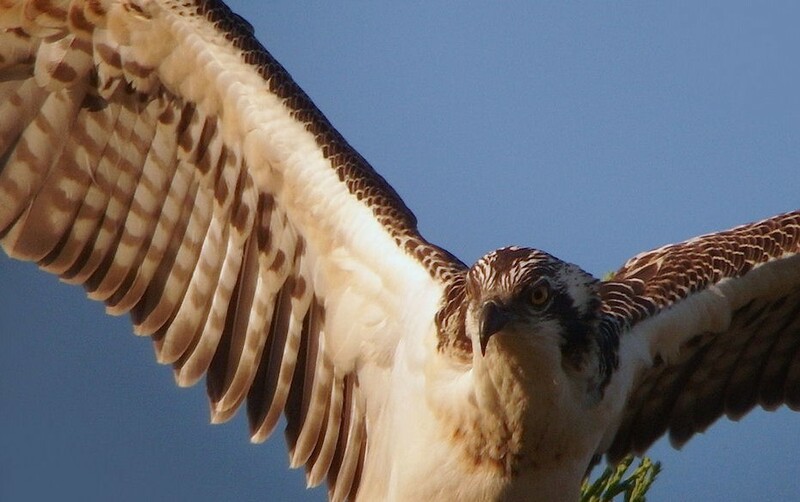 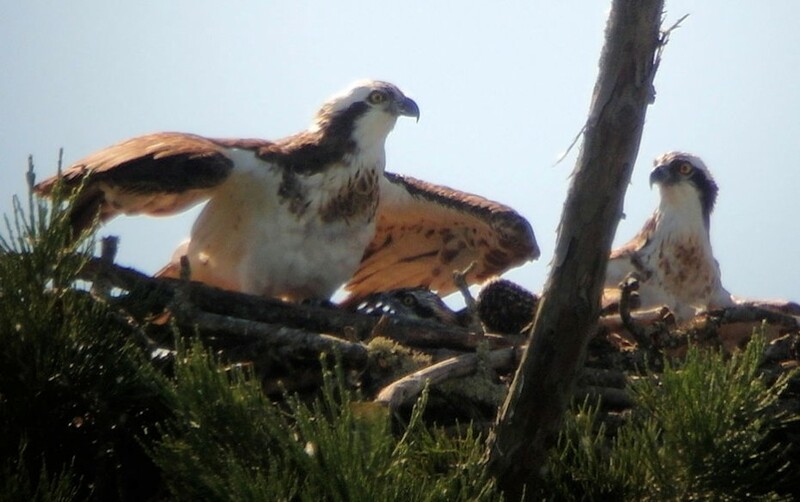 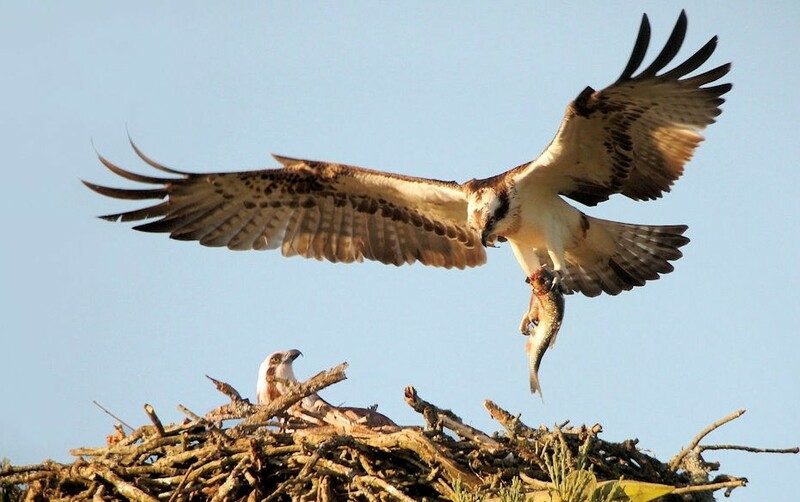 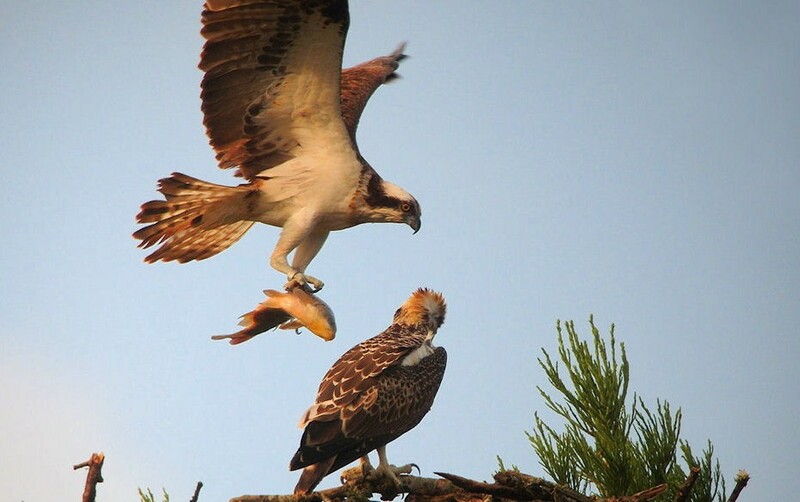 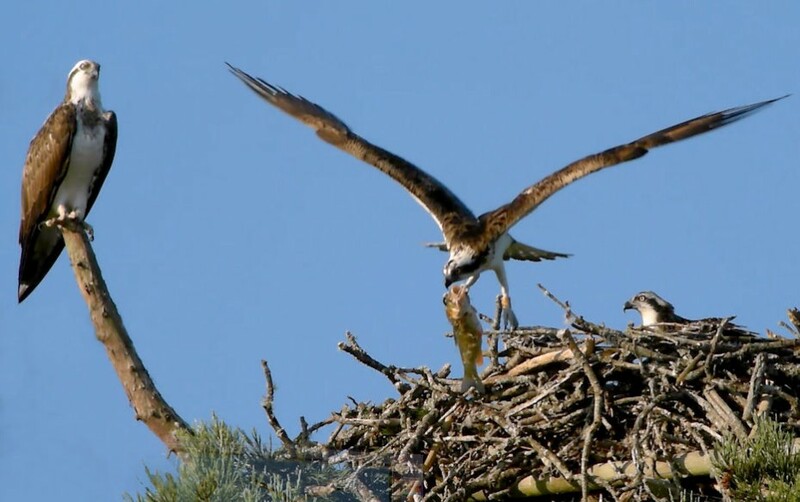 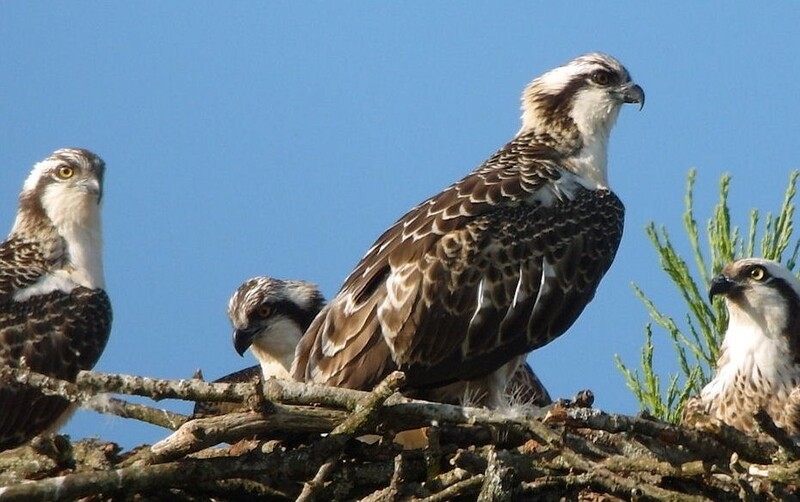 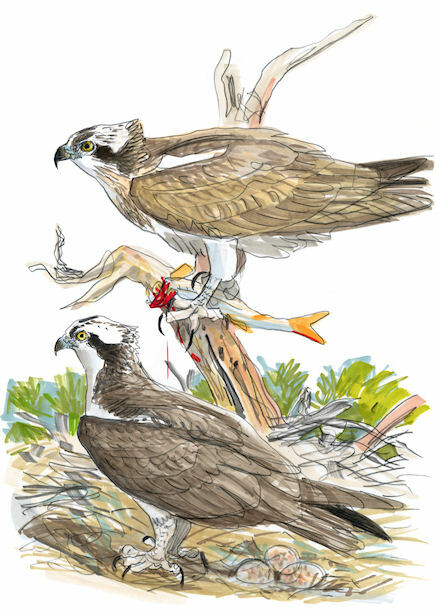 The platform was again occupied by Ospreys during the summer of 2012 and in 2013 a couple composed of Sylva and Titom, who arrived in late March, attempted to nest. 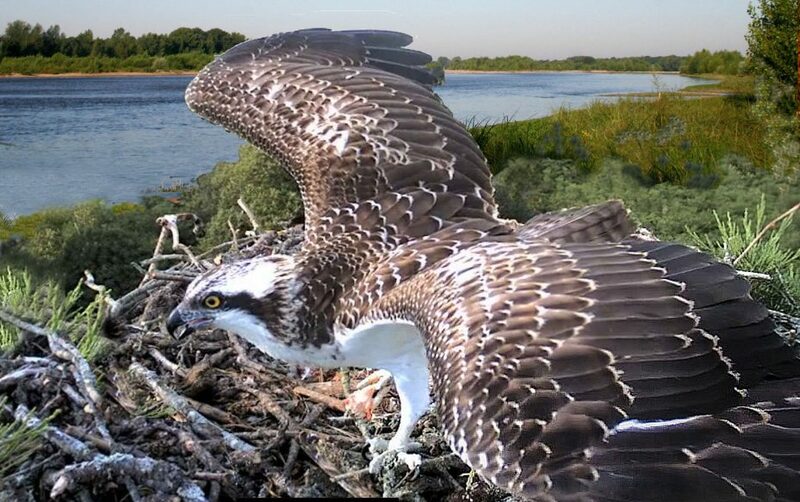 As the male was only three years old reproduction failed and we had to wait for their return in 2014 for the first successful season for this same couple. 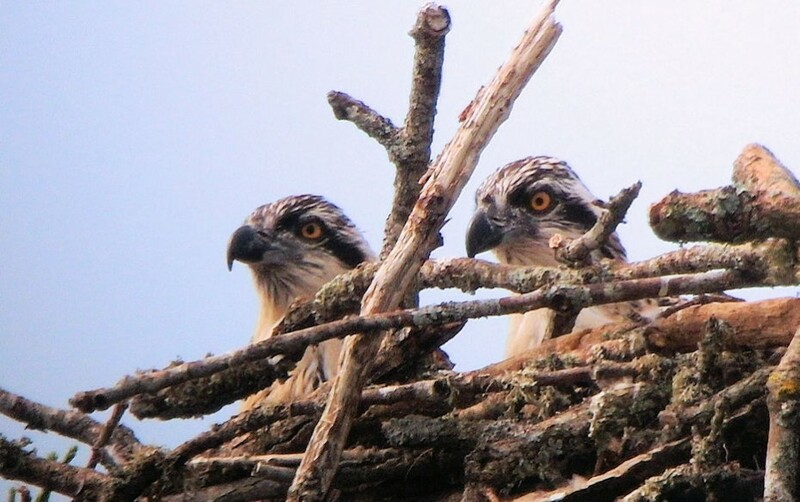 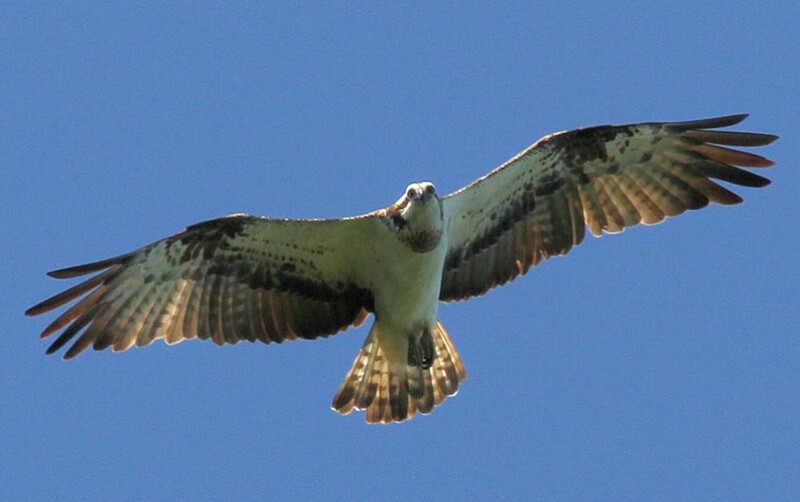 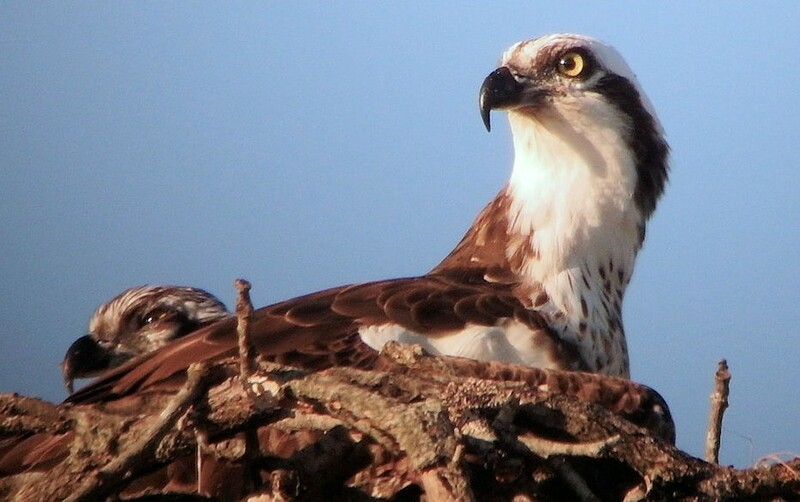 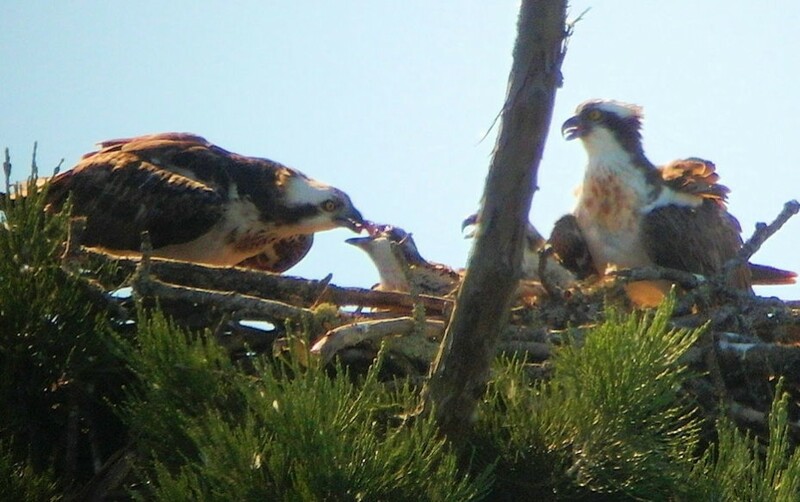 Three young ospreys flew from the nest at the end of the summer. 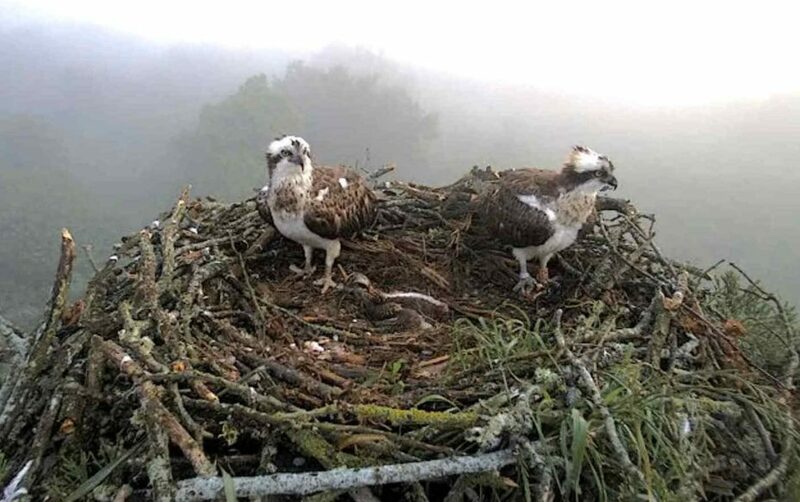 Aside from unfortunate accidents the couple can now be considered stable which is why we decided to install a video camera and share with you, through a live broadband feed, the various stages of the 2016 breeding season.